Crafting is never easy, but if you really love what you do, then you will only see the fun side of everything you make. Especially the overwhelming feeling of excitement when an idea hits you and you just can’t wait to start it. Cricut machines are heaven sent for most crafting enthusiast. Not only does it make crafting easier and faster, but it also brings out their creative side due to the infinite ideas you can create with a Cricut Machine. 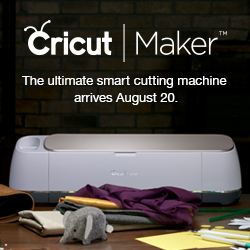 What is a Cricut machine and how do you use it? Cricut Machines are home die-cutting machines made by Provo Craft & Novelty Inc., for crafting and scrapbooking projects. These DIY machines look like a typical printer. Not only does it print on materials, it also has a set of sharp blades and precise rollers in order to cut designs. Depending on what type of tool or accessory you add to your Cricut machine, you can emboss, score, cut, print, and more to create amazing DIY crafts. You only need to create a design on their free web app called “Cricut Design Space” and send it to your Cricut Machine for cutting or printing. Cricut machines can do anything from papercrafts and printables to creating models, sewing projects, and even quilting or leatherworks. It literally creates any crafts you can think of. So, if you are lacking ideas or just want to create something different with your Cricut machine, here are 10 creative Cricut project ideas you can try! Ladies, forget about rummaging through the department store for your next fashionista wallet and going home pretty disappointed since all the wallets displayed do not suit your fashion style. If you have Cricut Machine, create one for yourself now. This could give you the freedom to design your own wallet, add the necessary pockets to it and gives you uniqueness. Make your calendars more fun and creative using your Cricut Machine. Instead of using your traditional “display and rip” calendar, why not create one that only needs to be erased every now and then? With a Cricut machine, you can create a chalkboard family calendar somewhere in the corner of the house where family members can write and see daily activities and plans. Tired of the same old phone cases? Maybe you want something fresh and unique to go with your phone? Now, don’t throw your old phone cases. With just a few designing and sticking, you can make it look new and fresh. With a Cricut Machine, you can design your own phone cases, something that is not available on your local phone stores. Decorate your refrigerators with family photos and motivational sayings. Use photos for ultimate personalization and print them on magnetic materials using your Cricut Machine. Do you have an adorable puppy at home? Well, give that good boy a personalized dog tag, so that people will know he’s your buddy. Welcome visitors with a unique personalized mat on your doorstep. Also, this personalized mat will make a perfect gift for newly married couples. Customized your plates with a Cricut Machine that you either choose to eat on it or just add to your home decors. Impress your partner by adding a new twist to your candlelight dinner. You can add pictures or even romantic words to the candles itself using a Cricut Machine. Tired of your hair getting on your face? Create fun reversible headbands for a chic-looking you with a Cricut Machine. Create play foods made of felt for your precious little ones so they can invite their friends to a little dinner role-playing.